Over the last few years summertime has played host to the rise of the open-air cinema, and 2017 is set to be no different as Sheffield film fanatics will be able to enjoy outdoor showings of two iconic films. 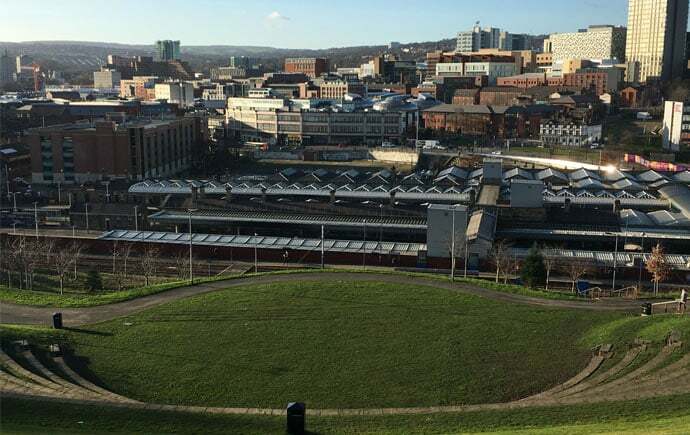 Offering a sweeping panoramic of the Sheffield skyline, Sheffield Amphitheatre will be the location to catch classic 80s blockbusters Top Gun (23rd August) followed by Dirty Dancing (24th August). Bring a blanket, plus some food and some drink (or pre-order it all when you buy your tickets). You can even treat yourself to a bucket full of Estrella Damm beer. Luna also offers a premium ticket allowing you to enjoy the films from a reserved director’s chair in prime position of the screen, along with a complimentary drink in the Luna VIP Bar. The Luna Cinema is the country’s leading producer of open air cinema events with their screenings following one simple formula: a classic film on a big screen in a beautiful or prestigious setting. They use state of the art screens, digital projectors and bespoke sound equipment to provide a cinema quality experience, but with the magic of being under the stars. General adult admission tickets are £14.50, children’s £10 and premium tickets £26.50 Tickets are available here with more information about the event and The Luna Cinema here.